Restaurateur Haya Molcho (owner of the NENI chain of Israeli and Middle Eastern-inspired restaurants across Europe) revisited her home town with her four sons to create the new cookbook Tel Aviv: A Culinary Journey with NENI. 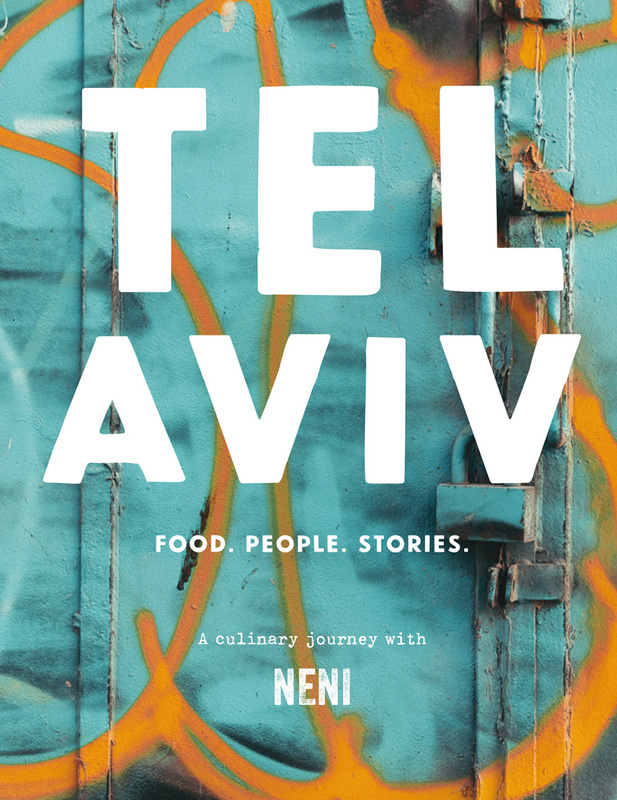 The book introduces local “chefs and storytellers”, as well as sharing recipes for 150 dishes – from green shakshuka to Israeli paella – all of which were prepared in Tel Aviv using ingredients from local markets. Soak beans overnight in three times as much water as beans. The next day, pour through a strainer, wash under cold water and drain. Peel onions. Bring beans to the boil in a large pan with 3 litres of water, onions, sage and olive oil, and cook for 1½ hours. Then add 1 tablespoon of salt and continue cooking until the beans are very soft, about 1 more hour. Add a bit more water as needed. When the beans are done, strain them, saving the cooking water, and allow to cool. Using a blender or a stick blender, briefly whizz 420g of the beans together with the tahini and lemon juice; small pieces should still be visible. Blend in a bit of cooking water as needed. Season to taste with salt. Deseed the sivri/cayenne pepper and finely dice. Toast the bread until dark brown. Spread the bean paste on plates. Arrange the remaining beans and the diced sivri/cayenne on top, drizzle with olive oil and sprinkle with sumac. Serve with the bread. Haya’s tip: You can also cook the beans in a pressure cooker, which reduces the cooking time to 45 minutes. Images and recipes from Tel Aviv by Neni, photography by Nuriel Molcho, published by Murdoch Books, RRP $49.99.